It was great to see so many members – and their guests – at the Summer Picnic on 7 July, generously hosted by HE Ambassador Dr Rizal Sukma and Ibu Hana at Wisma Nusantara. 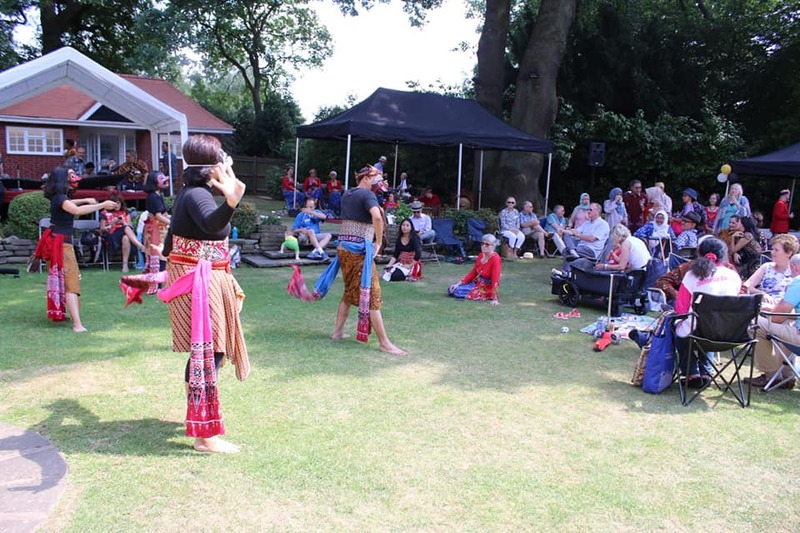 On one of the hottest days of the year, we were able to relax in the beautiful garden under the shade of majestic trees, enjoying delicious food and wonderful music and dance from Lila Cita Gamelan, the London Angklung ensemble and the Embassy’s masked dance group. Many thanks to them and to all those who contributed to the feast, including the Embassy chefs, Sri Owen – but also everyone who brought goodies from home to share. It was a delightful afternoon and a lovely way to celebrate the links between the UK and Indonesia – which is what the Society is all about. I am delighted that a number of guests decided to join as members at the picnic, or as a result of attending: welcome! I look forward to seeing as many as possible of you at the Society’s various events through the autumn, after a relaxing summer break.